Sherri Enders refers to herself as a “big ball of energy” with “an incredible immune system” who says she rarely gets sick and hadn’t had the flu in about 25 years, until last month. Enders is one of untold numbers of people who have been affected by the influenza A (H3N2) virus, which has become widespread in 43 states since October. It has played a role in the deaths of 21 children and, the Centers for Disease Control reports, thousands of hospitalizations. It arrived here in time for the holidays. 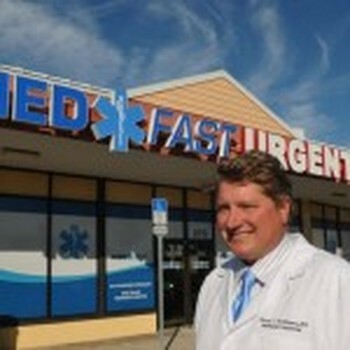 “The influenza outbreak appeared in Brevard County the week before Christmas,” said Dr. David T. Williams, the chief medical officer with MedFast Urgent Care, which has six offices in Brevard County. They are receiving 250 to 300 visits a day, a 30 to 35 percent increase over last year, by people with influenza symptoms: the worst outbreak since 2009. “If they think they have the flu, they should see a doctor right away,” Barile said, and Williams agreed. Those discussions are likely to be about Tamiflu and Relenza, antiviral drugs that help prevent viruses from reproducing. They are recommended by the Infectious Disease Society of America and the Centers for Disease Control and Prevention (CDC) for people who have complications or are at high risk for complications, within 24 to 48 hours of the first symptoms of infection. Barile agrees with those recommendations. “After being diagnosed, they should be treated with one of the approved antiviral medications and stay home from work or school until their symptoms have resolved. This will help prevent spreading the flu to others,” he said. That does not mean that everyone with the flu will get, or should have, the medicines, not because they are ineffective but because they are not suited to everyone. Two other analyzes, published in 2013 by the U.S. National Library of Medicine at the National Institutes of Health and the Oxford Journals respectively, concluded that the benefits of those drugs may not outweigh their risks to those who otherwise are healthy.